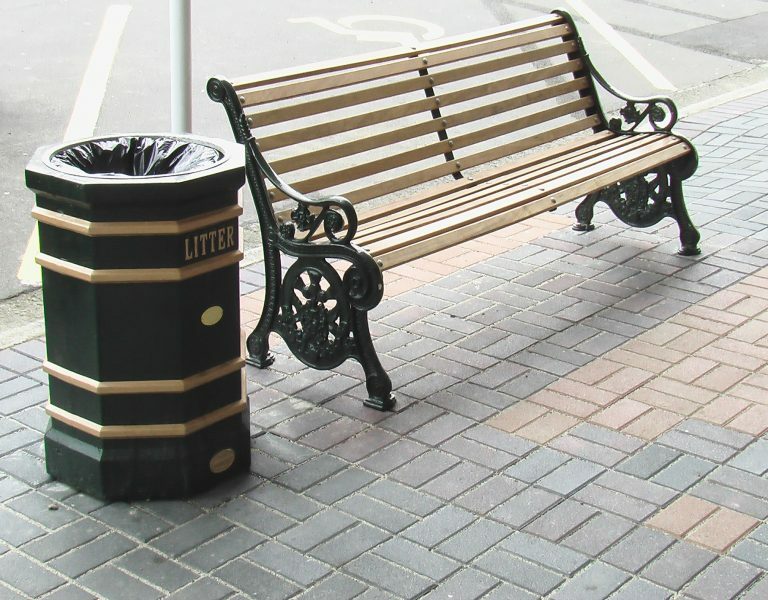 The corrosion resistant cast aluminium OCTAGONAL litter bin may be finished in standard BS colours with metallic or reflective coatings on request. The OCTAGONAL bin may incorporate crests and logos. The OCTAGONAL litter bin supplied with a primer finish as standard. A painted finish in any RAL or BS colour is available on request—please enquire. The OCTAGONAL bin is supplied with a lockable, galvanised steel liner. An internal anchor bolt is supplied as standard. Corrosion resistant cast aluminium body with a galvanised steel liner. The OCTAGONAL bin may incorporate crests and logos. An otagonal hinged lid with a lockable door is optional. 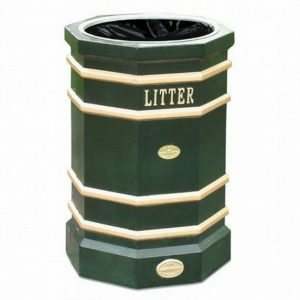 OCTAGONAL litter bins are designed for fixing bar mounting.